Dream job in 8 months! David’s note: James – I’ve been secretly cheering for you all this time and I’m so happy and proud of you for succeeding! I knew it was just a matter of time for you because I know you put in the heart and the hours. 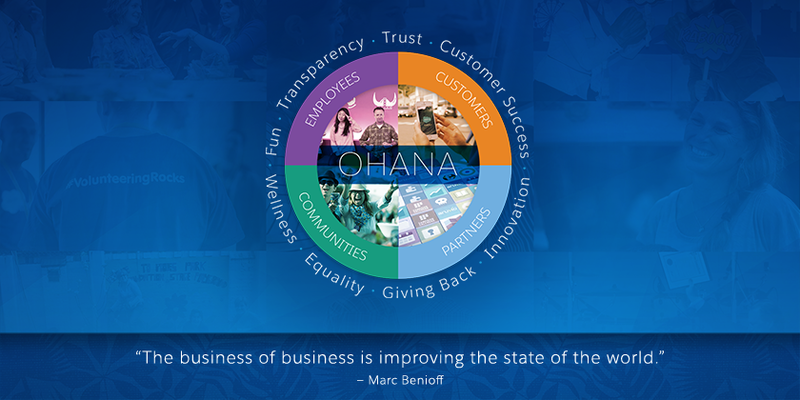 The best part about you is I know you’ll be giving back to the #Salesforce Ohana! I discovered Salesforce at the end of May in 2016, and I am fortunate to land my dream job 8 months later. Here is my story, I hope you will find these techniques helpful for any goals you have in 2017! As a computer engineer who studied both software engineering and electrical engineering, I had no idea what to specialize in after graduation due to the endless possibilities in the tech industry. As the Moore’s Law is approaching stagnation, I chose to focus on software and I was overwhelmed by the 256 different programming languages out there. One day, I saw a promotion ad for PluralSight and it was 40% off! Who could pass on a deal like that!! After signing up, I browse around to see what is going on. I click on the popular tab and I saw a 5 full star rating on a course, it stood out to me because other popular courses were all 4.0 to 4.5. The course title is Apex Academy: Absolute Beginner’s Guide to Coding in Salesforce by David Liu; at that moment, I discovered Salesforce for the very first time. My first impression from David was that he is absolutely passionate about Salesforce, and I wanted to find out why. I created a Trailhead account, attended a couple of Salesforce events, and created a Twitter account for Salesforce within the first month; I finally understood why he loves Salesforce so much. The amazing community blew me away!! I have never encountered anything like this before, where brilliant innovations deeply integrated with a tight knit community. I decided to pursue a career within the Salesforce ecosystem as a developer and do whatever it takes to get there. I Trailblazed through 100 Trailhead badges in 2 months with 71000+ points. It was exciting, I spent 7-10 hours a day on Trailhead taking notes and completing modules, I thought I would lose the momentum in a week but I was on a spree as the Twitter community gave me the motivation and I continued this routine for 14 weeks without a single day off until I decided to get certified. The $4,800 price tag for an official course was way more than what I had in the bank, but the lack of resources never stopped me from being resourceful. I asked as many questions as I can to everyone in the community, then I created a plan to hold myself accountable to get certified. Within 6 months, I focus on getting certified as a full time student and I earned 5 certifications while actively seeking for a full time position after I completed an internship. Real world experience is more important than certifications for developer positions, and I am thankful for my mentor Pete Fife who guided me during my internship! First, being healthy is a main factor because it will help you retain what you have learned while keeping your stress in check. You can study for 200 hours but it would be inefficient if you forget half of it before you take the exam. I also recommend you to take a free course on Coursera titled Learning how to learn by Dr. Barbara Oakley, proper techniques can help you filter out all the noise that distracts you from being productive while studying. Second, set an achievable goal that is realistic to you. The only person who I am competing with is myself from yesterday, because if you are comparing yourself to people with less experience, you will lose that drive and if you are comparing yourself with your role models, you may lose motivation when you are not progressing fast enough or you may give up completely because the gap is too wide where you would feel it is impossible to achieve. Third, be genuine and polite in the community. I have met people from every experience level, and we all have different challenges. If you want to achieve a goal and you are stuck, feel free to reach out and briefly describe your situation accurately to get the help you need. You will not always get a response, but if you ask 5 different people in the most positive and genuine matter, 1 answer will help you solve your problem much faster than going through it on your own. I would highly encourage you to pave the way for others when you become successful if you have received help and support, this is what the community is all about! It is hard to detailed out everything in one post, I will continue to write down any techniques I found useful. Feel free to follow me on Twitter @JiaSupernova or LinkedIn: James Chen.